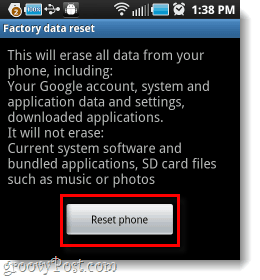 When something is messed up on your Android device, a factory reset can be used as a quick-fix method. A factory reset is also an easy way to uninstall unwanted mods, updates, and clear out custom settings. 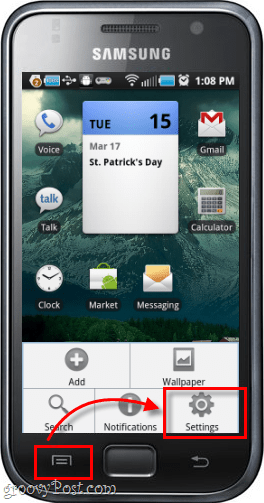 Resetting an Android phone will set it back to it’s initial condition, just like it was when you bought it. Your SD card will remain untouched, so before we get started that might be a good place to put any data you don’t want to lose. Uninstall any updates and revert it back to the Android version your phone shipped with. Clear passwords and personal settings, including synced accounts. What a Factory Reset won’t do. It won’t erase your pictures, videos, music, or anything stored on your SD card. We highly recommend that you backup any data that you don’t want to risk losing. If your phone is synced to your Google account, your contacts should already be backed up to the Google Cloud; this works as well for the Calendar and any other Google services you have synced up. Let’s get started! Note: The screenshots in this guide were taken using a Samsung Galaxy S, actual menus may vary depending on your manufacturer. 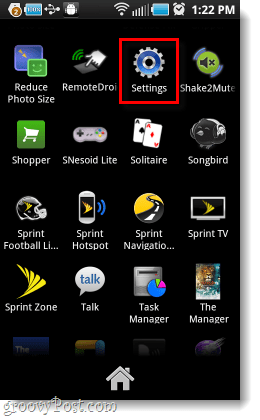 Press the Menu button on the outside of your device, and then Tap Settings. Alternatively, you can open the App Drawer and then Tap the Settings app. In the settings menu, Tap Privacy. 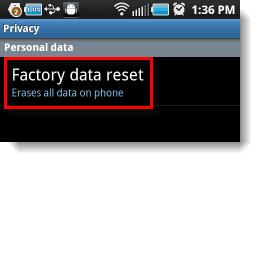 Now on the Privacy & Personal data screen, Tap Factory data reset. 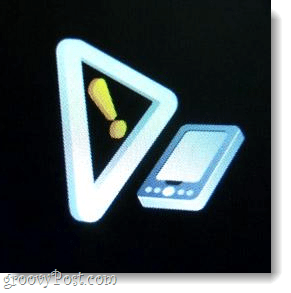 You’ll then be given a warning screen, just Tap Reset phone. 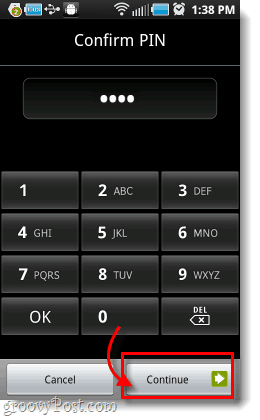 To confirm, you’ll be required to enter your Android password. 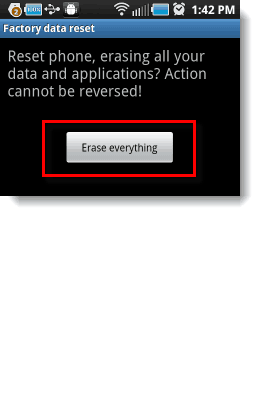 Now there is just one confirmation button left; once you Press Erase everything, there is no turning back. Now we play the waiting game… A factory reset will take about 5 minutes, just make sure the battery doesn’t die while your phone is performing the reset. Your Android device should now be back in it’s default state. The reset will have cleared off your data, settings, and apps – as mentioned at the top of this post. Hopefully, this is the solution to all of your Android problems. There are occasions where even a Factory reset won’t fix your phone, so feel free to ask for help! Maybe good to know, for the galaxy there is also the three button combo no start up. Hello , I like somebody help me , i have done factory rest to my Android tablet 2.2 , after this I have only the sign of android appears on the screen no more control , even i can’t make it off , i have to put on/off switch to off position then use pin to rest then it come off , how i can solve the problem ? how about when the androids password is corrupted? I did a complete reset just a few days ago and I didnt need a password. Just try it. So, i have done the fractory reset & it is now asking for a password. I have tried everything that i think it could possibly be, & none of it is correct. I cannont access my phone at all. Can anyone at all help me fix this problem? If i was to take it the network shop, will it be covered by insurance? Hi, it didn’t ask me for a pasword at the start but now when I try to turn it on it says,’Confirm password’ i dont know the password….any help guys?